The City of Frisco is starting 2019 off strong with new plans for yet another entertainment destination. Frisco RoughRiders, an affiliate team of the Texas Rangers, is finally getting its fair share with an upgrade to their home. The city has tentatively approved plans for “RoughRider Plaza” to be developed between Dr. Pepper Ballpark and IKEA. RoughRider Plaza will have office buildings, plenty of retail, and hotel with a convention center surrounding a green space that will also have food trucks similar to Klyde Warren. 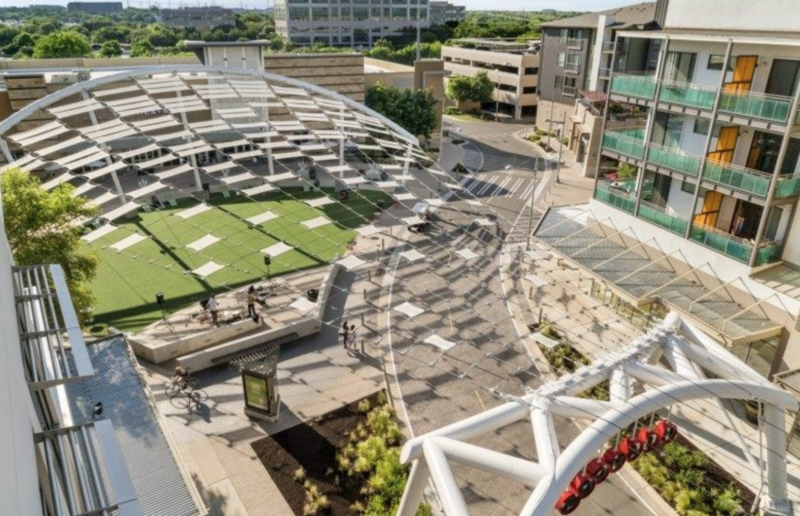 Although the concept isn’t novel, RoughRider Plaza is sure to be a home run following the success of The Star across the tollway and Texas Live! in Arlington. It arrives just in time with news of the PGA’s relocation to Frisco and similar plans of a mixed-use development. RoughRider Plaza gets a head start having two established sports teams playing at its site and will quickly become a Frisco hot spot.